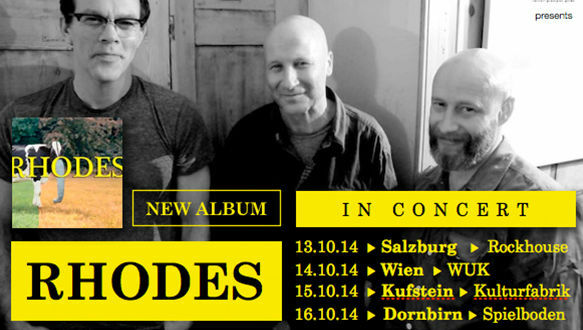 Autumn 2014 saw The David Rhodes Band touring in Germany and Austria with their new album. Since Ged has other commitments this autumn, it was be David on vocals and guitar, Charlie on bass and Rob Brian on drums. The Austrian Salzburger Nachrichten announce the October show in Salzburg. Read the English version or the German version. Interview at the Austrian Kronen Zeitung by Robert Fröwein. Read the German article or listen to the English audio. Read the German interview "Eine Solo-Tour ist viel schwieriger, als mit Peter Gabriel oder Kate Bush zu spielen".